People easily recognize an infant cradled in arms as a universal symbol of parenting and nurturing; we know that babies mostly love to be carried and cuddled. Yet, this inherent part of tending an infant can be very challenging in the first couple of years. Whether you’re trying to wash clothes, buy groceries, make a sandwich or tend another child, the blessing of a babe in arms can sometimes feel like a hindrance. Choices for soothing inundate our modern brains, all attempts to free us from the burden of carrying our little ones. We can buy swings, bouncers, saucers and myriad propping devices for home. For outings, we can pick from an endless array of strollers and baby bucket carseats. With such a wide menu for comforting and containing babies, why should we choose to carry them? Interestingly, the comfort of being carried seems to be part of our ancient mammal brain. Even mouse pups are calmed when their mothers pick them up and move around. Research shows that both human and mouse babies slow or stop voluntary movement and have a rapid decrease in heart rate when they are carried. For the human infants, the researchers also compared their responses based on whether their mothers sat still or rocked with them in their arms; the calming response was much stronger when the mothers walked around. Eons back up the evolutionary tree, mammals must have survived better when they carried their young around. In addition to the urgings from our primal brains, there is plenty of evidence to encourage us to keep our babies close. Whether held in arms or worn in a wrap or sling, carried babies are happier. Scientists have proven this, but parenting experience makes the conclusion obvious. Cuddled close to the people they know best, babies feel more secure. They can handle minor stresses like new situations or a little teething pain with less agitation because their baseline status is already calm and safe. With you in the kitchen as you make a sandwich or gently bumping along as you do chores, they get to feel the rhythm of your body and breathing, soothed by your motion and absorbing the sights and sounds of their world. The magic potion of peaceful stimulation sets baby up to be a pretty happy camper more of the day. When we carry our babies, we not only offer them more stimulation, we set them up to learn more easily from their experiences. A baby who stays close to their parent more of the day has more opportunities to start some early socializing. They can “meet” new people from the cocoon of a carrier. They can hear the fluctuations of your voice and see and feel the play of emotions as you chat with your neighbor or ask for help in a store. They are also in the “quiet alert” state more frequently. That means they can observe their environment and everyone in it in a more receptive way. Furthermore, we are more likely to engage with a baby who is right by our chins; we point out things and keep up a patter in a voice they’ve been hearing since before they were born. We might teach them their colors or the names of a few animals in a fluid way, including them more in the actions of the day. Watching their faces, we can also start naming things we see them react to, like wind or a car horn. And huddled in their perch, babies are sheltered from some of the kind, but intrusive, intentions of the world. People are less likely to invade baby’s space when they would be also encroaching on the personal space of mother or father. Some of us, even as babies, do not welcome just anyone into our sphere; parents can control this when their children are tiny and a reserved toddler or preschooler can scoot farther into their parent’s shoulder when they feel the need to withdraw from a situation. As parents, we can determine when our little ones are more open to engage with people with them right at our elbow instead of out in front of us in a stroller. Beyond this social sort of shelter, babywearing can reduce their germ exposure. Babies have fewer opportunities to mouth the grocery cart handle and they’re not relegated to floor level in a car seat when they’re in a carrier or sling. It’s easier to monitor what a little one on your hip or back has managed to grasp for their oral explorations. On top of warding off a few microscopic intruders, you are shielding your baby with a micro-forcefield all your own. It turns out that babies get help from our own microbiomes through skin-to-skin contact and even our breath. We’re fortifying them steadily with our more mature immune systems when they’re as close to us as a t-shirt. All this closeness has other, subtler benefits. Parents and caregivers will be more closely tuned to baby’s reactions, moods and well-being. You know how warm or sleepy or agitated a baby is when they’re right on your chest or even with their tummy against your back. For tiny babies, you can feel their early squirming indicating hunger long before they’re uncomfortable or upset. You can sense your toddler getting worn out by a social gathering and more easily offer them downtime when they’re right at your hip. These improved responses to a baby’s signals increase the parent/child bond and further build your relationship. The baby will also have lower levels of stress hormones leading to less irritability. This leads to an improving cycle of confidence for a new parent or caregiver. A contented baby seems like something they have helped create. What’s really being created is a wonderful relationship of responsiveness and trust. There are some who enter the world less settled, harder to calm and just needing extra soothing to be peaceful. For these babies and their parents, a baby carrier can feel like a godsend. An exhausted mother or father can do all the tending they have at their disposal— baby is clean, warm, well-fed and dry. Still the baby might cry. Nestling a very small baby against your chest or a slightly older baby on your back can allow you to do something else while they work through their crying. You can have them skin-close, but let another task like walking, vacuuming or any task you find soothing reduce your understandable agitation. As you find ways to calm yourself while keeping them close, you may find they wind down with you, or, at the very least, you might discover new strength to stick by them while they weather their storm. If you have more than one child, babywearing might move from important and convenient to utterly necessary. Keeping up with a toddler or preschooler is much easier when you can have your baby right against your body. You have hands free to turn the pages of a book, offer a snack, do a puzzle or hold a little hand as you wander through the park. You and your older child can feel more connected when you can be available while also nurturing the new baby. With your younger child in the carrier, you also know they are safe from some of the more vigorous types of affection a toddler or preschooler might show. 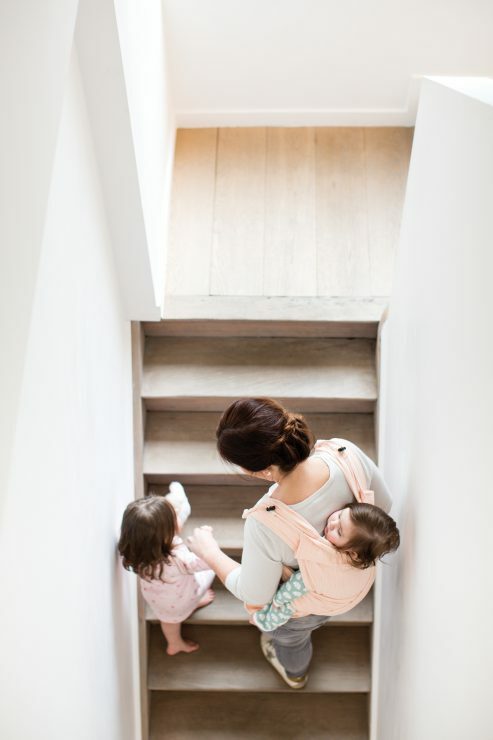 A more adjustable carrier can even allow you to switch between your older and younger children as the situation demands. 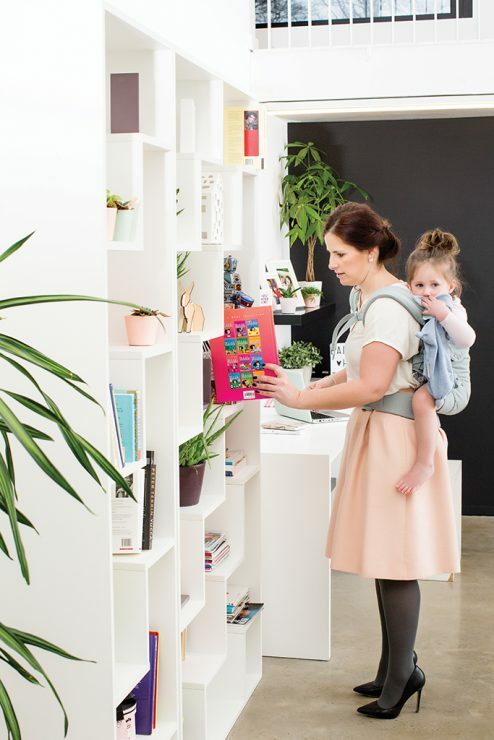 Changing a diaper in public, for example, is much easier when your toddler is on your back rather than exploring every surface of a bathroom or racing away between bookstore shelves. Once you ride the learning curve of a baby carrier, you’ll wonder how you ever managed without one. 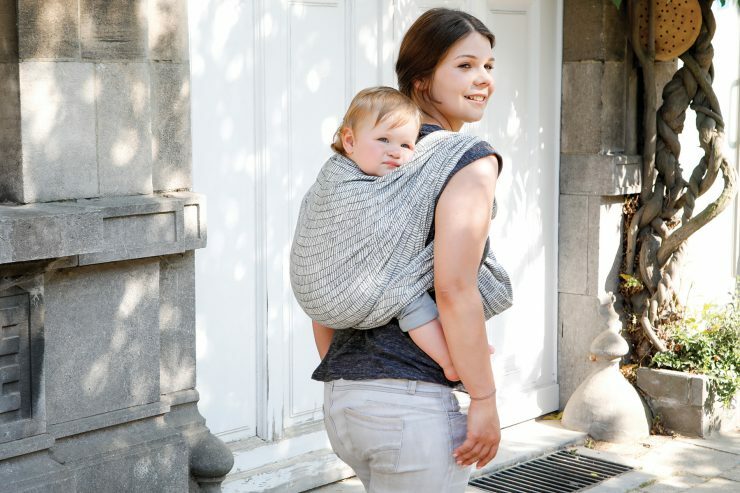 Whether you choose a soft structured carrier, a Meh Dai style carrier, a wrap or a ring sling, you will have a resource you turn to again and again as you move through the early years of your child’s life. To celebrate International Babywearing Week, Nova Natural has teamed up with Babylonia USA to give away a carrier each day from October 1st-5th plus some goodies for baby including a soft pixie doll and a natural maple teether.